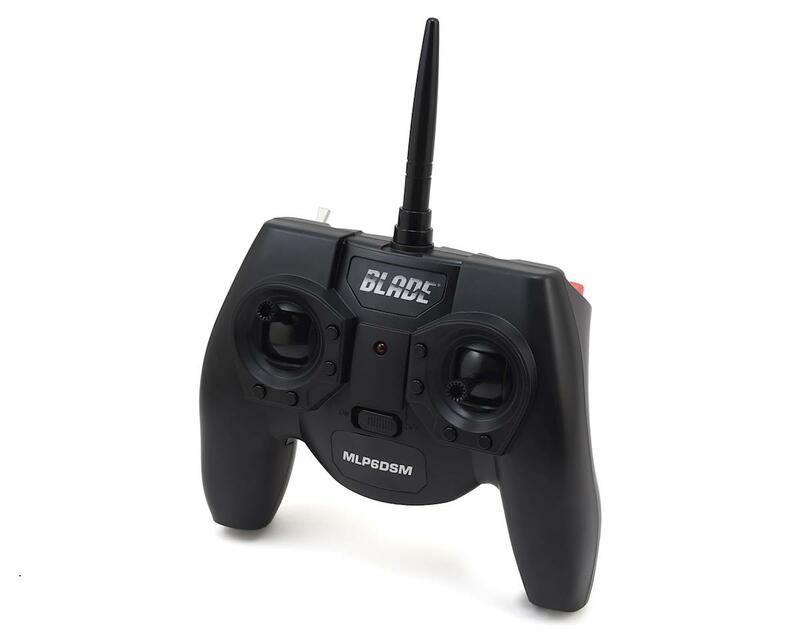 The Blade mCP S RTF is a great way to step up from coaxial helis and multirotor drones to a single-rotor machine. 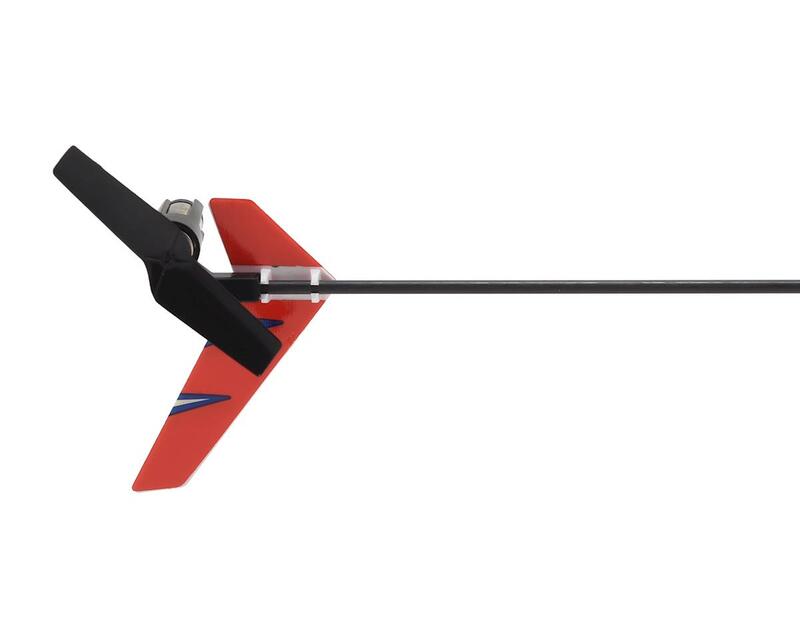 Its size makes it ideal for indoor flights, while linear servos, durable composite frame, and carbon main shaft and tail boom provide exceptional durability. The low part count makes repairs quick and easy. There is plenty of punch in the stock brushed motor, and more to be found with the optional micro brushless motor (sold separately). Exclusive SAFE and AS3X technology help keep you in control by delivering the stability you need to develop confidence quickly. Three progressive flight modes allow this heli to grow with each pilot’s skill level, making it great for intermediate pilots to pick up with the assurance of panic recovery. A vivid red canopy design makes it easy to keep orientation when learning advanced maneuvers. 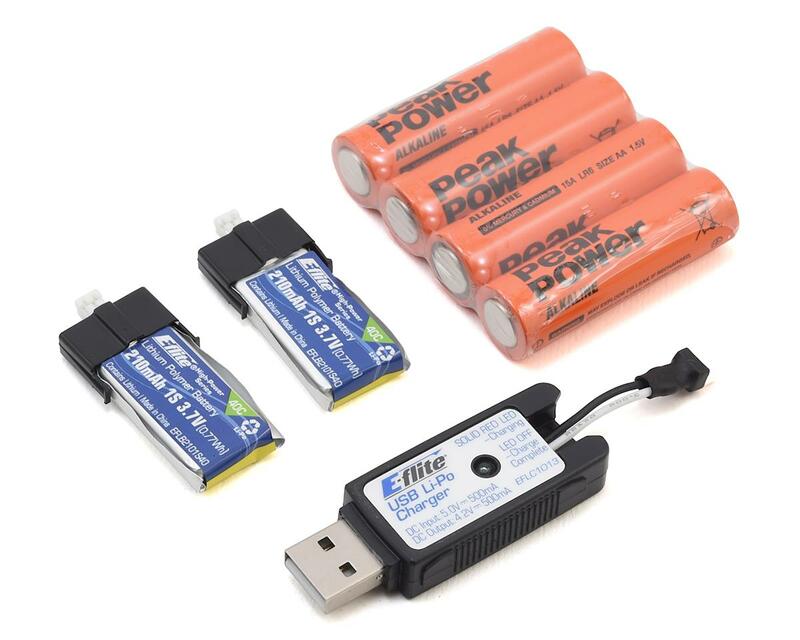 RTF completion level includes MLP6DSM transmitter, two 1S 210mAh flight batteries, and USB charger. Stability Mode: Provides renowned self-leveling and bank angle limits. This mode is great for those getting a feel for the helicopter, or practicing orientation before stepping into more advanced modes. Agility Mode: This mode does not provide any self-leveling and allows the pilot to perform mild 3D maneuvers such as inverted flight, flips, rolls and aggressive aerobatics. The rotor head speed is limited to a lower RPM in this mode. 3D Mode: This mode does not provide any self-leveling and allows the pilot to perform full 3D maneuvers such as inverted flight, funnels, and much more. The rotor head speed is increased to a higher RPM in this mode. 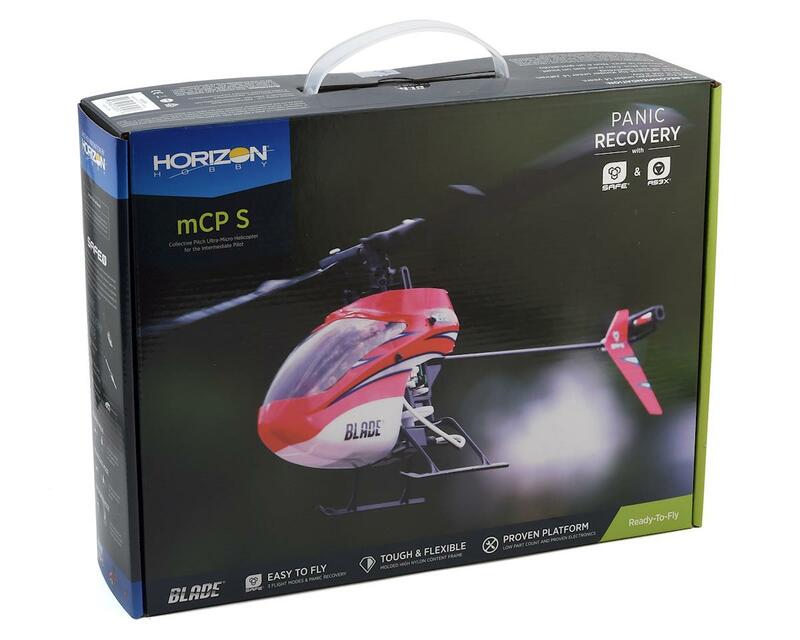 Panic Recovery Mode: At the flick of a switch, panic recovery will return the helicopter to a safe and level flight when the pilot gets into an uncomfortable orientation or maneuver. Two Flight Batteries: The mCP S comes with two flight batteries out of the box, with both the Ready-to-Fly and Bind-n-Fly models, for even more indoor 3D fun. 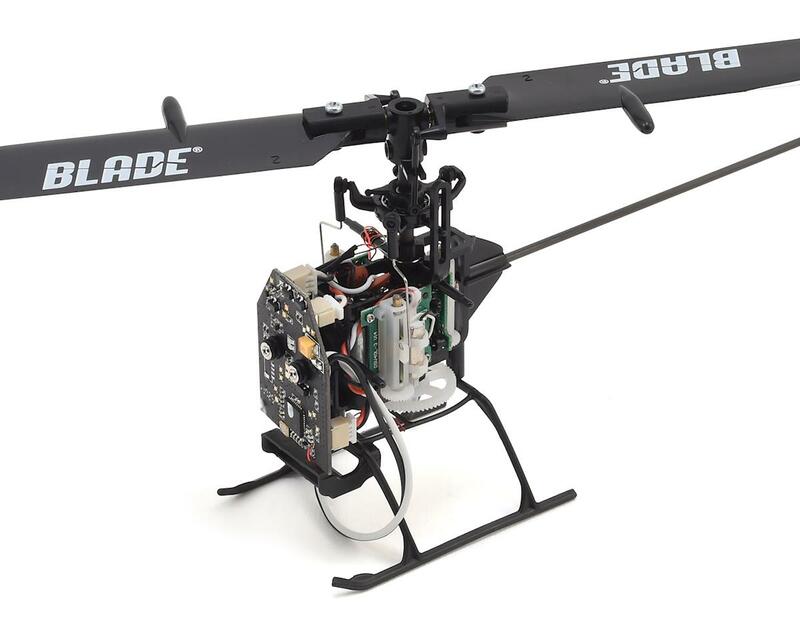 Durable Components: Light and extremely durable components, like the carbon fiber tail boom, frame this micro helicopter allowing pilots to get back in the air after most crashes. 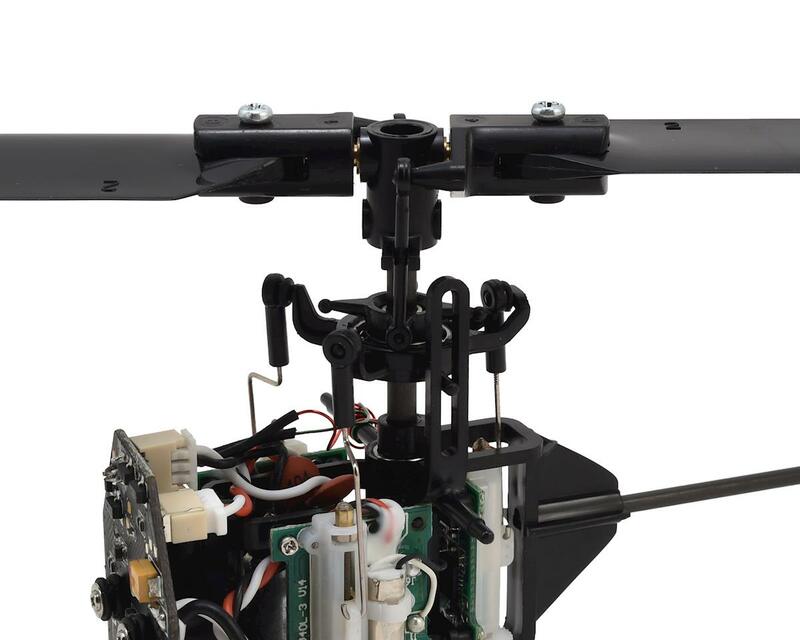 Linear Cyclic Servos: Linear cyclic micro servos drive the swashplate for durable and responsive control in any situation. 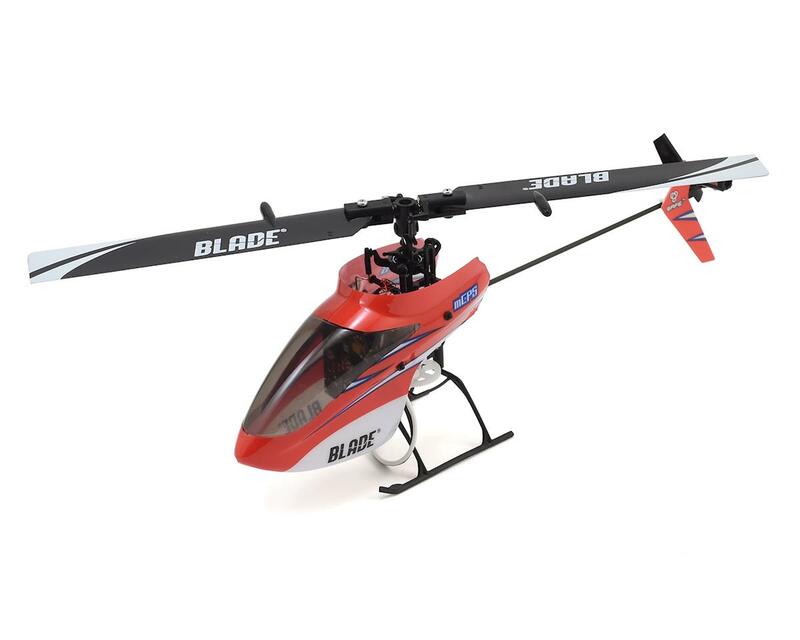 Low Part Count: The simplicity of this helicopter and reduced part count make repair costs and repairs a breeze.